← Tomorrow is the big day! If you want to jump to the time lapse video, click here to skip the details. 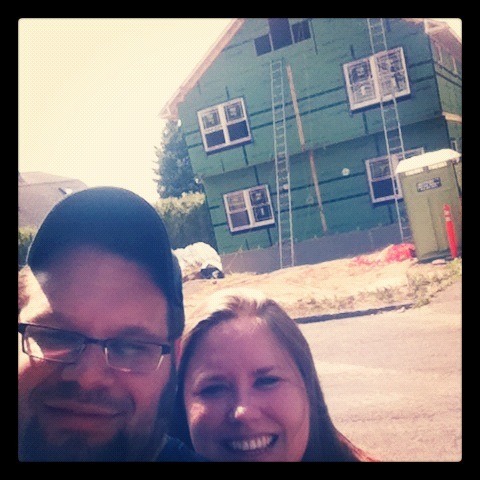 We got a new house today, y’all! What an amazing day. 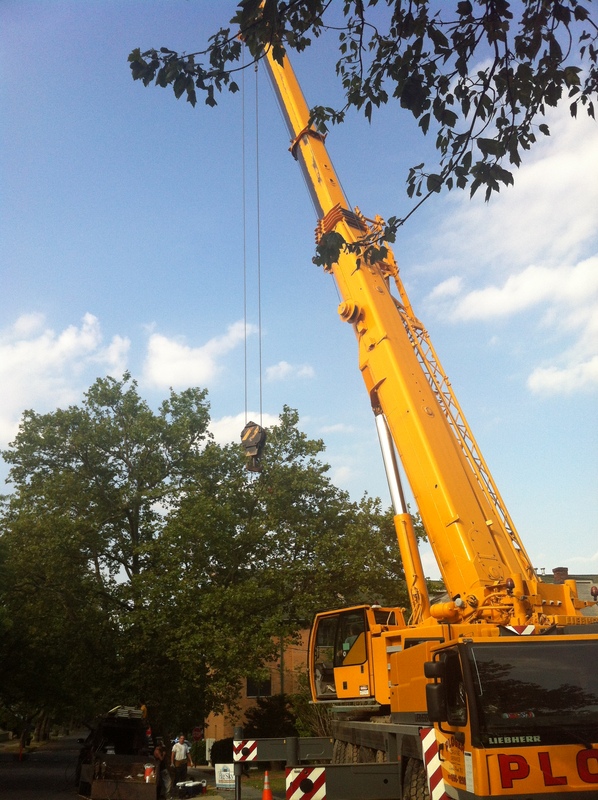 We arrived at the property at around 7:30am and the awesome crane operator and set team had already arrived and were waiting for the first box. About 10 minutes later, the first box arrived. Three of the boxes were actually delivered last night and were being stored in a parking lot a few miles away. 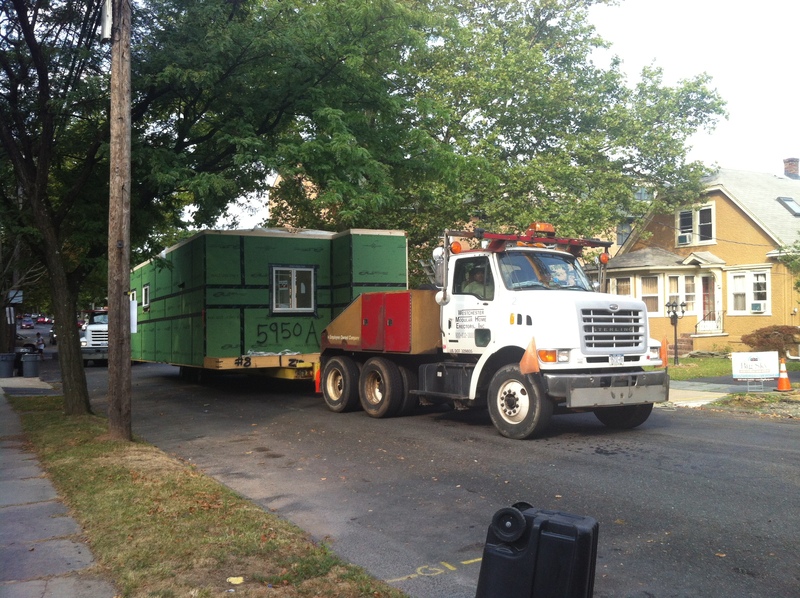 It is pretty incredible to see the truck pull around the corner with that first box. 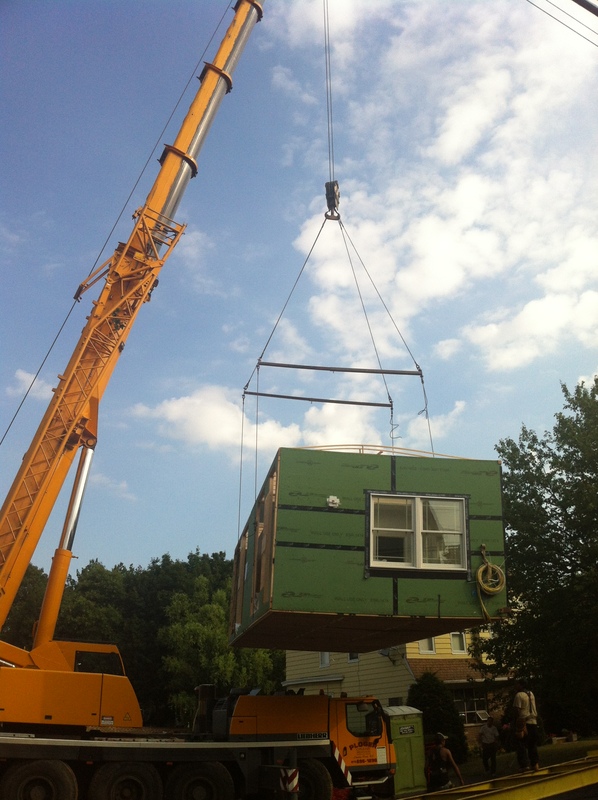 It takes the crew a few minutes to attach the supports from the crane to the box, but it takes flight pretty quickly! 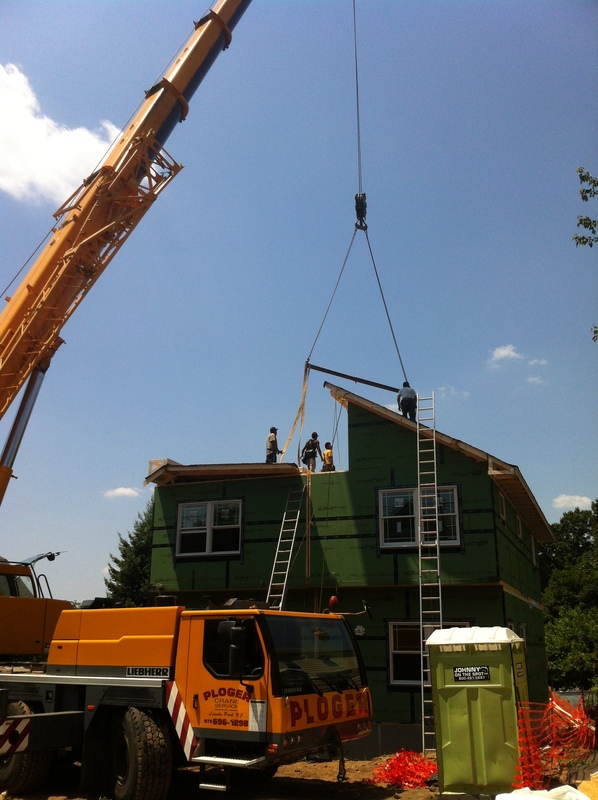 Once the two bottom floor boxes were installed, the third box was stacked on top. The set crew was amazing. 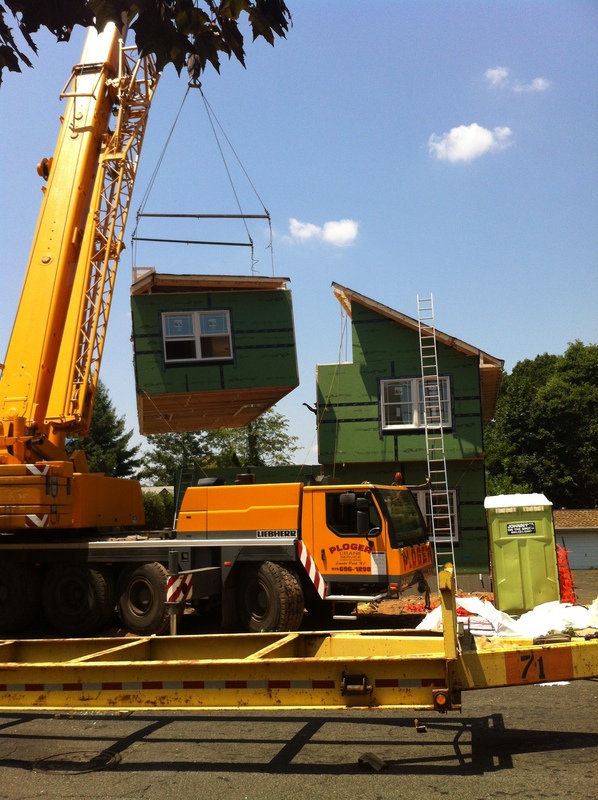 All they do is set modular houses. Can you imagine doing this every day? 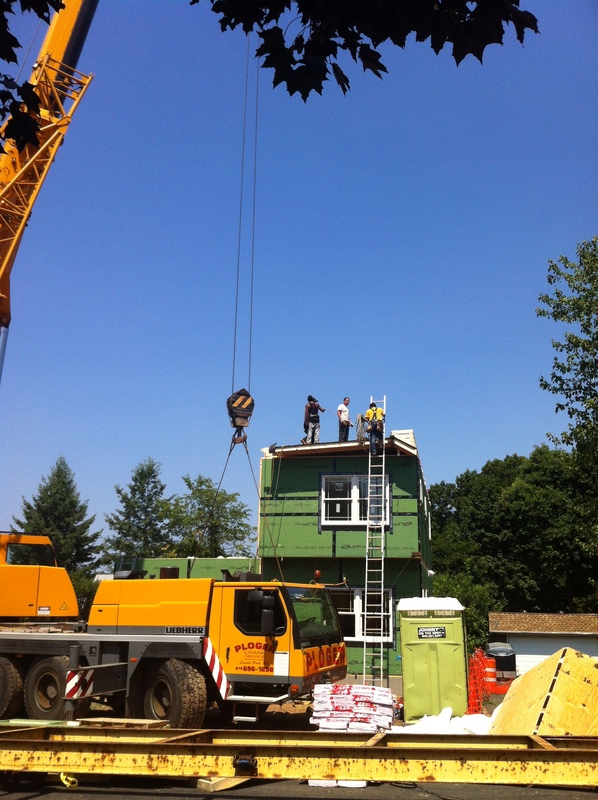 Once the first top floor box was installed, the crew literally “raised the roof “. 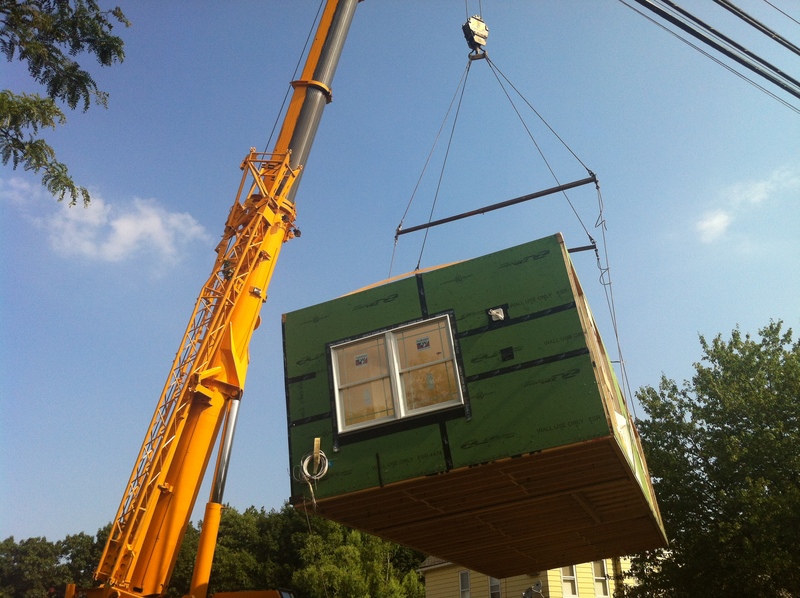 The roof is shipped flat, but is engineered to flip up once the box is set. The last box had to be driven from the factory today, so after an early lunch, the guys were back at it. 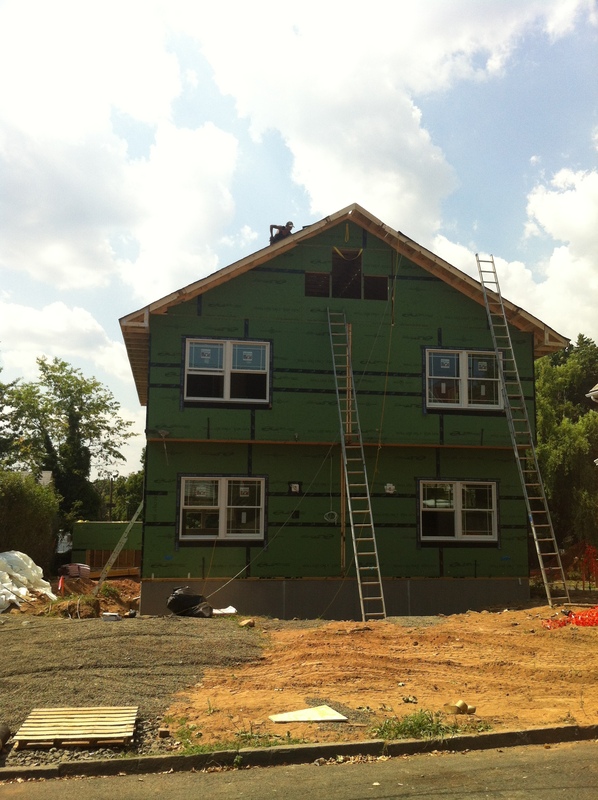 Once the last box was set, the crew spent the rest of the afternoon finishing the roof and adding the windows and additional zip sheathing that couldn’t be installed with the boxes. 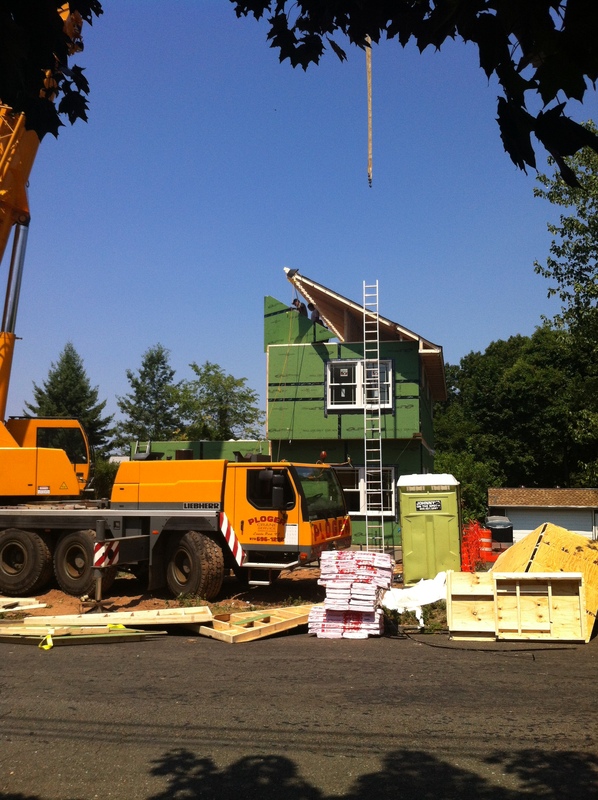 It is really amazing how quickly the house went up. 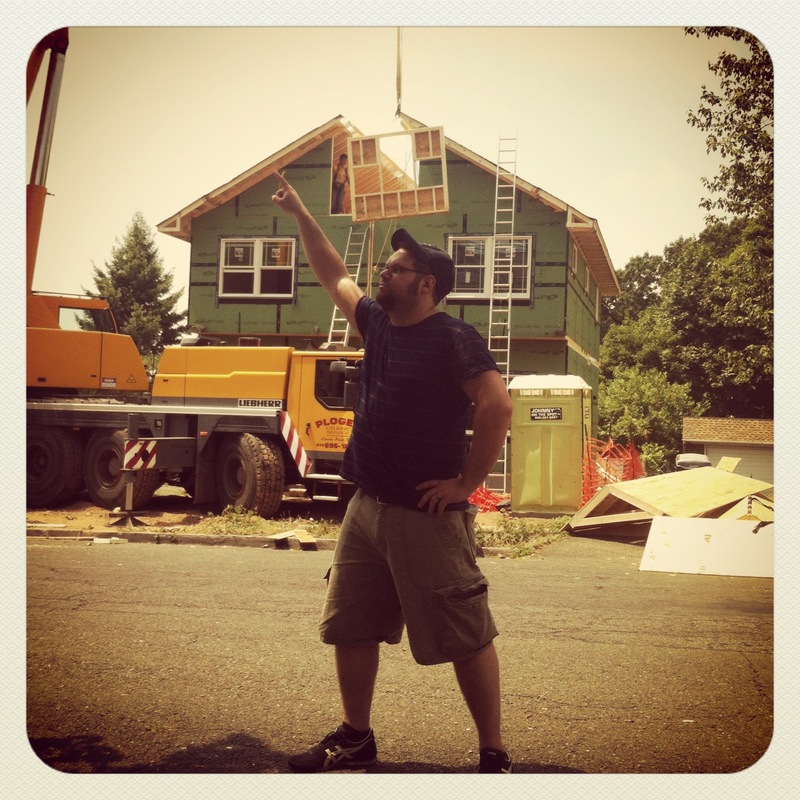 Mike was so excited, he had to strike a pose…. Check out this really cool time lapse video that Mike created! GoingHome from LittleTownBigCity on Vimeo. 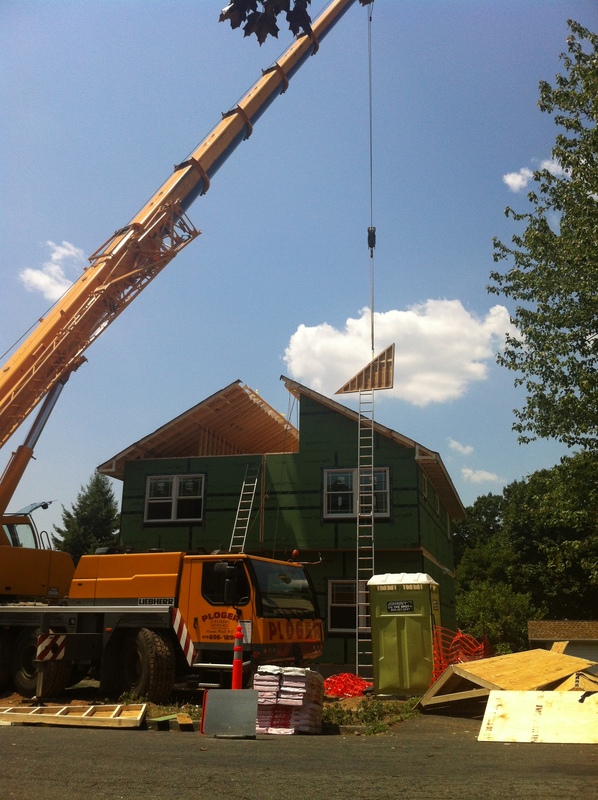 This entry was posted in Building and tagged builder, building, foundation, modular, new construction, New Jersey. Bookmark the permalink. That’s so cool Jen! Congratulations and I can’t wait to see more with the house.